Note: For the Strict Pull-up add weight if appropriate, or use the least amount of band assistance as possible. For the AMRAP workout, assess body soreness and fatigue. It’s been a tough week of training, and it’s only Wednesday. Round Four will be a “Bonus Extra-Credit Round”. Men’s Rx’d Wallball weight is 20lb. and Women’s weight is 10lb. Advanced Athletes should vary the stimulus and consider Ring Pull-ups and Double Unders in this workout. 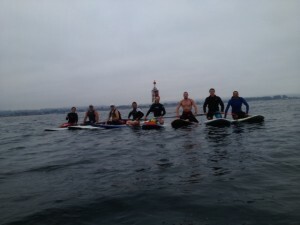 1 Mile Out to Sea! 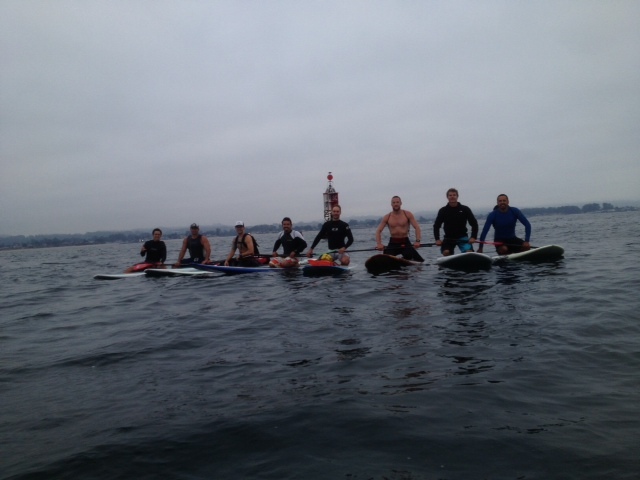 Congratulations to Dom, Colin, Michael, Roberto, Matthew, Justin, Scott, Eddie and Greg on completing the challenging Stand Up Paddle (SUP) to the Santa Cruz 1 Mile Buoy on Tuesday morning. The scenery and water conditions were perfect for this epic adventure, and the men were witness to a breathtaking breaching of a large whale.